The 82-year-old had been growing the nails on his left hand since he was 14, having been inspired to do so after a teacher told him off when he accidentally broke a very long nail the teacher had grown. The teacher told Chillal that he wouldn’t understand the kind of care it took not to break a long nail unless he did it himself. Chilal certainly took that to heart. 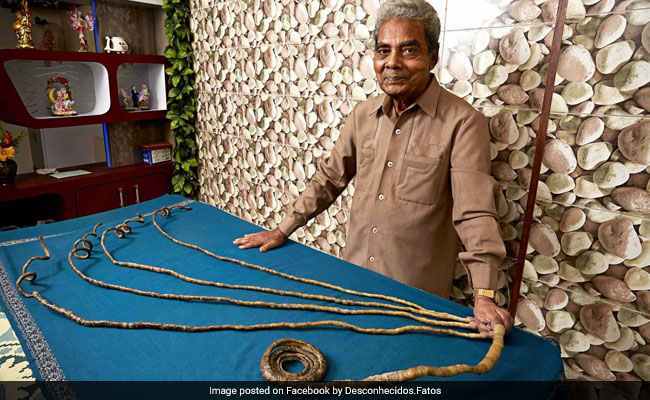 According to Wikipedia, Shridhar Chillal held the world record for the longest fingernails ever reached on a single hand, with a combined length of 909.6 centimeters.